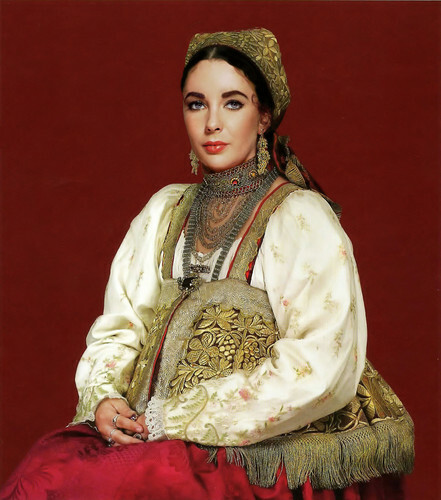 Russian traditional dress. . HD Wallpaper and background images in the Elisabeth Taylor club tagged: elizabeth taylor. This Elisabeth Taylor fan art might contain surcoat, surcot, kirtle, rapporté, and tabard.